Christmas Is Right Around The Corner. Nerf Guns Are Always Great Gifts. Learn All You Can About Each Nerf Gun And Figure Out Which One You Want Most Or Want To Give Most! Christmas Is All About Giving Right? 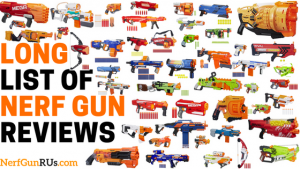 If you are looking for the perfect Nerf Gun to get someone that hasn’t told you what they want for Christmas, you can’t go wrong with any one of these awesome Nerf Guns on this list. 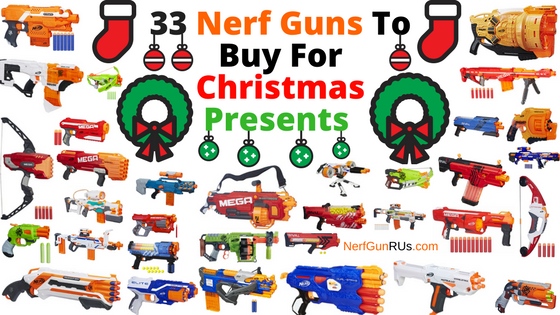 Here at NerfGunRUs.com, there are over 50+ Nerf Gun Reviews, I have taken the time to narrow down the list, to 33 Nerf Guns that anyone will love for a Christmas Present! Which Nerf Gun Do You Want To Give/Receive This Year? Is There An Enemy You Are Trying To Get An Edge On? Leave Your Comment In The Comment Section Below! 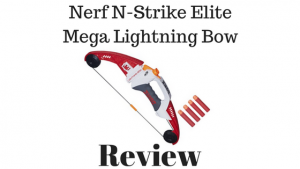 The Nerf N-Strike Elite Mega Lightning Bow is a pretty cool Bow and Arrow Styled Nerf Gun. If you are looking to give a present that is both different and awesome, you can’t go wrong with The Lightning Bow, the only thing is that you only get one Nerf Mega Dart to fire, compared to The Larger Thunder Bow, later on down this list! You have to be good to use The Lightning Bow in combat, but just for fun, The Lightning Bow is awesome! 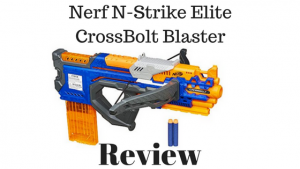 When you want a Nerf Gun that is pretty original and similar to The Nerf Retaliator, but with a twist, you go with The Nerf Elite CrossBolt Blaster. This is fires Nerf Darts with the actual band resistance that you must draw back on the top action to prime and pull the trigger to fire one Nerf Dart at a time. Not only is this present functional as a Nerf Gun, but has an awesome unique design! The Nerf Rival Zeus MXV-1200 Blaster is an Automatic, High Impact Round Firing, Rival Series Nerf Gun. Depending on your price range for Christmas Presents this year, any Nerf Gun out of The Rival Series will surly light up anyone’s face when they open they present. The Zeus is on the cheaper side of The Nerf Rival Series, but does not lack the firepower! 12 Nerf High Impact Rounds Is More Than Enough When You Are Good! 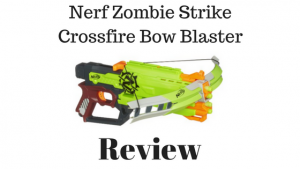 When you load 4 Nerf Darts into the front of The Nerf Zombie Strike Crossfire Bow Blaster all you have to do is draw back on the top action to prime the crossbow action then pull the trigger to fire one Nerf Dart each time. If you are looking to kill Zombies with this then make sure you aim for the head, leave that as a note when you give this as a Christmas Present! 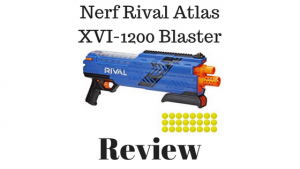 The Nerf Rival Atlas XVI-1200 Blaster is Rival Series Shotgun Styled Nerf Gun that fires 2 Nerf High Impact Rounds at a time. The Zeus above, fires automatically by holding down the motor trigger and firing, The Atlas, fires by using the front pump action and pulling the trigger. I personally like the feel of the Atlas a bit more. When you want to get a Rival Nerf Gun as a Christmas Present and you want it to be shotgun styled, Go With The Nerf Atlas! 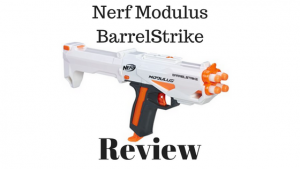 When you are looking for a Nerf Gun that not only works well on its own, but also doubles as a barrel attachment for any Nerf Gun that allows barrel attachments (Like The Nerf Modulus Series), you want to get The Nerf Modulus BarrelStrike. This is a Christmas Present that doubles as two. Make sure whoever you buy this for already has a Modulus Series Nerf Gun, otherwise, get them a larger Modulus Nerf Gun First, maybe The ECS-10 or The Regulator? 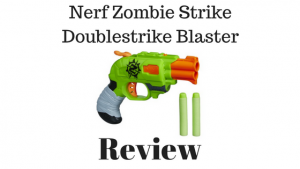 The Nerf Zombie Strike Doublestrike Blaster is a smaller Nerf Gun that is a great choice as a Christmas Present to anyone that doesn’t have a Nerf Gun at All. Does Grandma or Grandpa have a Nerf Gun? They can use a Christmas Present too, then get them in on The Nerf Gun Fun Action. Or do you know someone that needs to pop a Zombie in the head really quick? Help them get their hands on The Doublestrike! 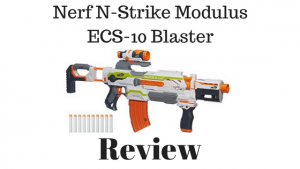 When you want a Nerf Gun from The Nerf Modulus Series that will work with The Nerf Modulus BarrelStrike above, The Nerf N-Strike Modulus ECS-10 is a good choice. Now, if you want to purchase them together, you can give one as a Christmas present then the other as a separate gift for another celebration, or go with just The Nerf ECS-10 that comes with targeting scope, drop grip, dual-rail barrel and 10 Nerf dart banana clip. 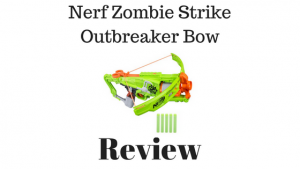 The Nerf Zombie Strike Outbreaker Bow has a 5 Nerf Dart Rotating Barrel that makes killing Zombies even easier. Similar to the Nerf Zombie Crossfire Bow, but able to hold 5 Nerf Darts instead of 4. When you want to give a Christmas Present that says “Go Hunt Zombies”, make sure you write that on there when you give The Outbreaker Bow as a Christmas Present! 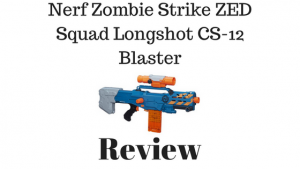 Meant to be used by the military forces to eliminate the Zombie Infestation, The Nerf Zombie Strike ZED Squad Longshot CS-12 makes for a great Christmas Present for anyone that wants to get in on the action and help get rid of the Zombie threat. Of course there are many more situations The Longshot CS-12 can be used in, let them decided when they open the Longshot CS-12 up! 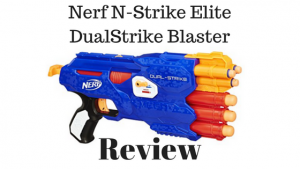 The Nerf N-Strike Elite DualStrike Blaster is a perfect Christmas Present for anyone that doesn’t know whether to go with an Elite Series Nerf Gun to get the mission done fast or A Mega Series Nerf Gun to destroy everything with. The Nerf DualStrike holds 3 Nerf Darts in the top and 3 Nerf Mega Darts in the bottom that you can easily switch between with the flip of a switch! Perfect Gift that can be used in many situations! 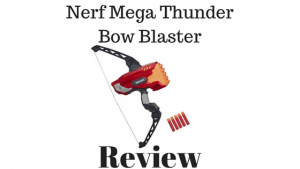 The larger Bow and Arrow Styled Nerf Gun compared to The Nerf Lightning Bow, is The Nerf Thunder Bow Blaster, that holds 5 Nerf Mega Darts instead of The Thunder Bow’s 1 Nerf Mega Dart. When you can successfully learn to lurk in the shadows and fire off Nerf Mega Darts at your targets, you will become a skilled Nerf Assassin in no time. Great present for Christmas time! 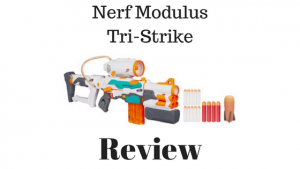 The Nerf Modulus Tri-Strike gives you 3 options to fire, you get 10 Nerf Darts, 4 Nerf Mega Darts, and a Nerf Missile Launcher. The even better part about The Nerf Tri-Strike is that you can take the Mega Dart attachment and Missile Launcher attachments and use them on other Nerf Modulus Nerf Guns. The Nerf Modulus Series is always a great gift, not only do you get The Nerf Gun, but the attachments too! 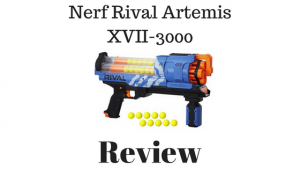 Once again, a Rival Series Nerf Gun, When you want to upgrade your Christmas Present from the shotgun styled Nerf Rival Atlas, you can choose The Nerf Rival Artemis XVII-3000 that fires 30 Nerf High Impact Rounds compared to The Atlas’ 12. With The Artemis, you can choose to fire one at a time, or hold the trigger and go slamfire, swap from the first 15 Nerf High Impact Round Magazine to the second with the flip of a switch! 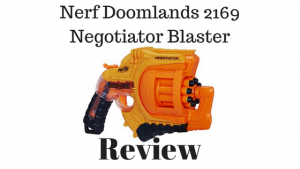 The Nerf Doomlands 2169 Negotiator Blaster is a hammer action, awesome Christmas Present, Nerf Gun that holds 8 Nerf Darts that are meant to help you Negotiate your way through The Nerf Doomlands! In The Nerf Doomlands, there are creatures lurking behind every corner and other survivors who are looking to take what they can. 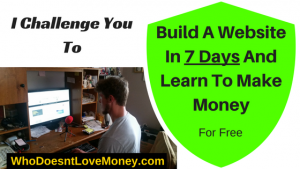 When you bring the Negotiator out, they will understand your terms… real quick! 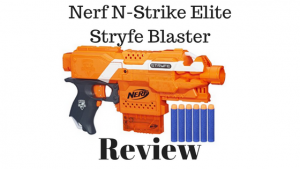 The little fully automatic Nerf N-Strike Elite Stryfe Blaster is a perfect Christmas Present that isn’t too big and isn’t too small. The Stryfe holds 6 Nerf Darts that can be fired in just seconds, honestly anyone who gets this will be happy. Some Nerf Guns are too big, while others are too small, The Nerf Stryfe should be a grandparent and everyone below them, Great Christmas Present! 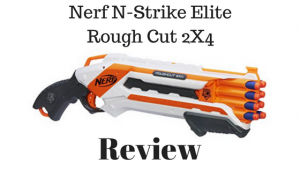 The Nerf N-Strike Elite Rough Cut 2×4 is an awesome shotgun styled Nerf Gun that allows you to fire 2 Nerf Darts with the single pump and pull of the trigger. When you want to get a Nerf Gun that makes an awesome Christmas Present, really every Nerf Gun on this post will work, but with The Rough Cut, this one is unique, powerful and sure to light up anyone’s face when they open it! The Perfect Christmas Present for the sniper lovers. If you know that they do not like direct combat, then a sniper Nerf Gun is the perfect gift. 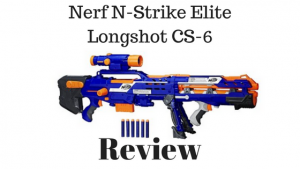 The Nerf N-Strike Elite Longshot CS-6 is the best sniper out of the Nerf Elite Series, make sure they practice their shots before heading out into the Nerf War Zone! Make sure you have their back with your own Nerf Gun! 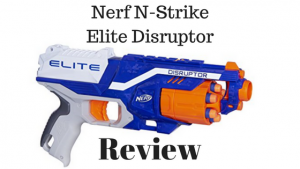 The Nerf N-Strike Elite Disruptor is the upgraded Nerf Elite Strongarm, I put The Disruptor on this list instead of The Strongarm due to the fact, The Disruptor is newer, if you are going to get someone a New Nerf Gun for Christmas, you might as well go with the upgraded version of it! The Nerf Disruptor is an easy to use, 6 front loading Nerf Dart Firing awesome pistol styled Nerf Gun. Great for use as a secondary Nerf Gun, office defense or just for fun! When you know someone who wants to go into The Nerf Doomlands, they need a Nerf Gun to protect themselves with. On this list there are several Nerf Guns to protect whoever enters The Nerf Doomlands, but each have a different purpose. 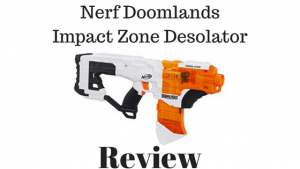 With The Nerf Doomlands Impact Zone Desolator, you are meant to “Desolate” anything or anyone that comes into your path. You don’t know their intentions and you don’t plan on finding out! 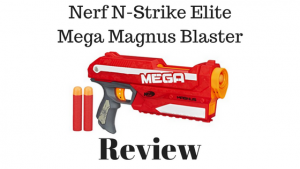 The Nerf N-Strike Elite Mega Magnus Blaster is an awesome 3 Nerf Mega Dart Holding, simple firing Nerf Gun from the Nerf Mega Series. When you want a Christmas Present that says “Powerful” but also keeps the power level to a 3 Nerf Mega Dart Level, this is a great choice. The Magnus loads 3 Nerf Mega Darts into the top when you draw back on the top action you reload and prime The Magnus each time you draw back. Inside The Nerf Doomlands, I mentioned above, there are different Nerf Guns for different situations. 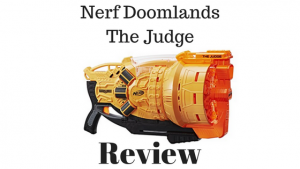 When you know someone that is tired of listening to everyone argue and fight about things that don’t need to be fought about, you give them The Nerf Doomlands The Judge! With The Judge, you can take any situation and make the Decision of whose right and whose wrong. If they are in the wrong and you really don’t like them, “Judge” them to execution… By The Judge! The Nerf Modulus Regulator is another great option that can go with The Nerf Modulus BarrelStrike from above, The Nerf Modulus Series has so many attachments that make customizing for individual missions easy as cake! With The Nerf Modulus Regulator, you get 2 barrel attachments, “storage stock,” and 2 twelve Nerf Dart Magazines that you have the option to fire on single fire, 3 round bursts, or full auto, with Select Fire! That right there sounds like an awesome bundle for a Christmas Present! The Larger Rival Nerf Gun that is similar to The Nerf Rival Zeus due to the automatic firing and Nerf High Impact Rounds, is the Nerf Rival Khaos MXVI-4000 that holds a much larger amount of Nerf High Impact Rounds at 40 compared to the Zeus’ 12. 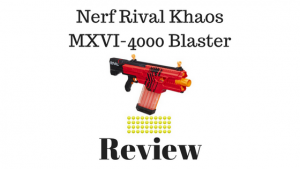 When you want to give someone a present on Christmas to wreak Khaos with, you go with The Nerf Rival Khaos MXVI-4000! 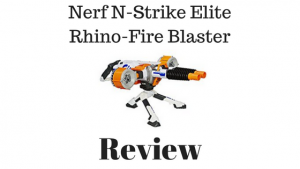 The Nerf N-Strike Elite Rhino-Fire Blaster is a turret styled Nerf Gun that will make an excellent Christmas Present. Matter of fact if someone opens up The Rhino-Fire as the first gift, they might hunker down and protect the rest of the gifts, claiming the rest for themselves! Make sure they open up the Rhino-Fire as their last Christmas Present! 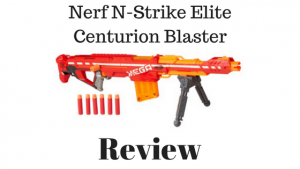 When you want a sniper Nerf Gun like The Elite Longshot for Christmas but want to upgrade your regular Nerf Darts to Mega Nerf Darts, you get The Nerf N-Strike Elite Centurion Blaster. Sniper class for sure, The Nerf Centurion holds 6 Nerf Mega Darts that you load into the magazine, slam into the Centurion, then prime by pull the side lever, pull the trigger to launch a Nerf Mega Dart screaming through the air, but leaving your target(s) wondering where that shot came from! 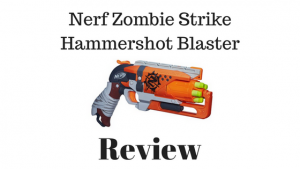 The Nerf Zombie Strike Hammershot Blaster is easily my favorite Nerf Pistol. My favorite thing about The Nerf Hammershot is how easily you can draw back the hammer and fire with one hand, leaving your other hand free to hold another Hammershot! One Nerf Hammershot is a great Christmas Present but two Nerf Hammershots will be sure to be the best Christmas Present Ever! Meant to take out Zombies, if you dual wield Hammershots, you have 10 Nerf Darts to land some head shots with! 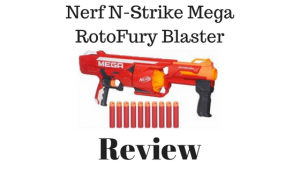 When you want to get a shotgun style but still like a rotating barrel, then you are probably going to love the firepower that comes with the rotating 10 Nerf Mega Dart firing Nerf N-Strike Mega RotoFury Blaster. This is a Christmas Present that says “Power” and nothing else, you get 10 Nerf Mega Darts to fire at anything you want. Easily going to light up the face of whoever opens this Christmas Present! 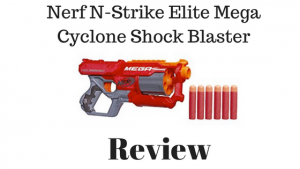 The Nerf N-Strike Elite Mega Cyclone Shock Blaster is the most powerful pistol styled Nerf Gun. With The Cyclone, you get a 6 Nerf Dart rotating barrel, that fires with the draw back of the top action and pull of the trigger. Fire 6 Nerf Mega Darts at your target and see what they want to do next! This is a Christmas Present for those who don’t want a smaller Nerf Pistol but don’t want a large Nerf Gun, fits right in between! 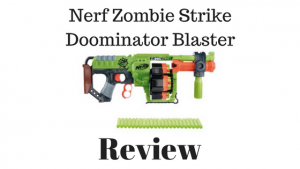 Meant to destroy hoards of Zombies, The Nerf Zombie Strike Doominator Blaster holds 24 Nerf Darts with 4 six Nerf Dart Barrels that switch with the flip of a switch. If you are looking to get a Christmas Present to help destroy your own Zombie issues, then you have to go with The Nerf Doominator! The Nerf N-Strike Mega TwinShock is the biggest Nerf shotgun you can get. Easily going to be a great Nerf Gun for a Christmas Present. Not only is this Nerf Gun huge, but it fires 10 Nerf Mega Darts, either 2 at a time with the full squeeze of the trigger, 1 at a time with the half squeeze of the trigger and in SlamFire, firing 2 Nerf Mega Darts with each slam of the pump, firing all 10 Nerf Mega Darts in seconds! The biggest and baddest Nerf Gun out of the Nerf Rival Series, The Nerf Rival Nemesis MXVII-10K is much different from the other Rival Nerf Guns, this Nerf Gun holds 100 Nerf High Impact Rounds in the top loading hopper! If you have a target, there is no doubt that target will be hit… a lot! When you are looking to give someone the highest ammo capacity Nerf Gun for Christmas, you have to go with The Nerf Rival Nemesis, and I forgot to mention, it fires on full auto! 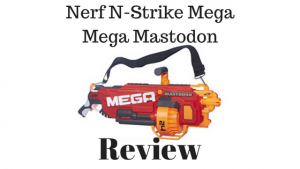 The Nerf N-Strike Mega Mastodon is the mother of all Nerf Guns, this thing is powerful and says “I’m here to annihilate everything.” With 24 Nerf Mega Darts that hit much harder than traditional Nerf Darts, Full Automatic, and just intimidating to come face to face with, The Nerf N-Strike Mega Mastodon is one of the best Nerf Guns you can give someone that loves Nerf Guns for Christmas! If This Post Helped You Select A Nerf Gun To Buy For Christmas, Please Help NerfGunRUs.com By Sharing This Post On Social Media And Leaving Your Opinion Of Which Nerf Gun You Chose And Why To Help Others Looking To Purchase The Perfect Nerf Gun Christmas Present! BeastMode! These are a lot cooler than the Nerf Guns I used as a kid. I didn’t realize Nerf made so many different foam weapons of mass destruction. With 3 different calibers lol. The Judge looks really awesome too. Like something out of Final Fantasy. You make it hard to select a Nerf Gun from the arsenal shown in your post. 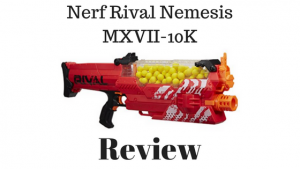 But, Out of all of them, I liked the Nerf Rival Nemesis MXVII-10K the best because of the huge ammo capacity. It almost wouldn’t be fair in Nerf Wars with your friends if you showed up with this beast. Hey Jason, Nerf Guns sure has evolved over the years and there are an insane amount of them now too! Those little foam darts sure have evolved too. The Nerf Mega Mastodon is one beast of a Nerf Gun that can take out just about anything in sight… Zombies, Kids, Teens, Adults, Co Workers, Neighbors, Dogs, Cats… Yeah, just about anything, but The Mastodon is just too much power for some people, kids mostly, I recommend The Mastodon for the parents to make sure the kids stay in check, all while having Nerf Gun Fun! The Judge Is Crazy and meant to help make decisions in “The Nerf Doomlands” but just about anywhere you bring that thing, you are going to be in control of what happens, so, I can see how you might be drawn to want that one, I don’t blame you! I hope you are thinking of getting some of these for Christmas! If you want to get yourself one, just say its from Santa! Wow, this is quite a big list! Seeing the amount of Nerf weapons to choose from, I honestly would have a hard time deciding which one or 2 to go with since there are so many ones I would like to own! Right off the bat, I was never too familiar with the Thunder and Lightning Nerf Bows but they sure look awesome and I would be interested in getting one of the 2 considering it would be fun practicing with the aiming. Another one that caught my attention was the N-Strike Elite Rough Cut 2×4 with its unique shotgun design! I can easily see this being a satisfying one to use when hitting a target with double the power! 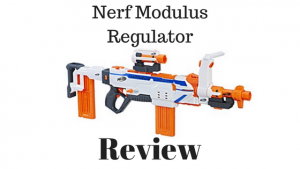 I think the Nerf Modulus Regulator is great in terms of having multiple options like the barrel attachments, storage stock, and being able to go through 2 twelve round magazines at once sounds worth it to me. I can also see why you really like the Zombie Strike Hammershot Blaster. The name alone sounds great and the thought of using 2 of those, each in one hand will make you unbeatable! And the last one that really interests me is the Nemesis MXVII-10K which is mainly because the ammo capacity is the largest in this list and will ensure that any opponent will get hit. My question is, if you were to pick 2 weapons on this list that you would recommend any new fan of Nerf obtain ASAP, which would those top 2 be? Hey Arie, I’m glad you found my list of Nerf Guns For Christmas Presents Helpful. I see you did a little research into my Nerf Gun Reviews, and honestly, The Nerf Lightning Bow And Thunder Bow are awesome, you get the real feel of a stealth assassin, but I say go with The Thunder Bow over The Lightning Bow because you get 5 Nerf Mega Darts to fire before reloading compared to 1 Nerf Mega Dart with The Lighting Bow. 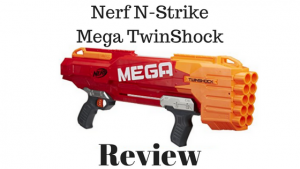 The Rough Cut 2×4 is great for situations where you want to ensure your shot, but if you like that one, then the Nerf Mega TwinShock would be a great Mega Option too. The Hammershot is by far my favorite hammer action Nerf Gun that is awesome for dual wielding, intimidation and ammo supply! I’m glad the Nerf Rival Nemesis Caught your eye, 100 Nerf High Impact Rounds on Full Auto is insanely crazy! So much fire power, one after another after another, after another. It will be like a storm of Nerf High Impact Rounds. So you want my two top picks for Nerf Guns that you should get ASAP. Well that really comes down to your preference on firing and how you plan to use your Nerf Gun. Nerf Battles, Nerf Wars, Office Wars? 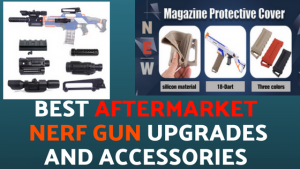 I personally love Fire Power and would go with The Nerf Rival Nemesis MXVII-10K, And The Nerf TwinShock, but like I said, its all up to your plans on how you are going to use your Nerf Guns, I say all the ones you are interested in on this list would be great Nerf Guns to start off with. The Ones You Like! Thanks for the comment and question, hope I answered your question and helped you select your Next Nerf Gun! Is there any Nerf gun that doesn´t have to be manually drawn for every dart? Hey Manny, There are actually quite a bit of Nerf Guns that don’t require manual labor to fire them. There are some that are 100% automatic that fire off of battery power and a motor. If you are really interested in them, I suggest you check out my list of Fully Automatic Nerf Guns! I honestly had no idea what to get some people for Christmas and now that problem is solved – I love the Zombie Strike ones (And I know my best friend will too). Any recommendation on which one I should chose? Hey Jeanri, I put a lot of effort into my entire website, NerfGunRUs.com is one of my pride and joys! Thanks for noticing all my hard work! I would recommend you go with either one of the Zombie Strike Cross Bows, The Crossfire Bow Or The Outbreaker Bow, both are on the smaller side, The Doominator might be a little too big and The Doublestrike a little too small. You should be one of the best gift givers this Christmas with either of The Zombie Strike Cross Bows! Thanks for this great post. There is a lot of information that I have work through. I appreciate the great article and can tell that a lot of work and research went into putting this together. My kids love nerf guns; this is a fantastic guide to help me choose the ones that they will love. 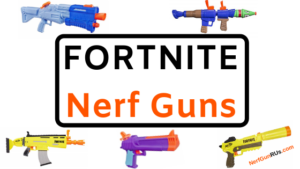 Hey Jerry, I created NerfGunRUs.com to help anyone, that is looking to get a Nerf Gun, choose one that they will love! 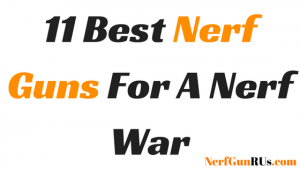 Everyone has different choices for what style Nerf Gun they want, I put a little bit of everything on this Christmas List Post, read my reviews and make sure you find the one’s they will love! I always recommend the adult get a bigger and better Nerf Gun, you should get in on the Nerf Gun Fun too, have fun with your kids, start a tradition! Firstly this is something new for me, and I first time hearing for this type of gun. I am so slow on learning these kind of things. Anyway I have found Nerf Rival Zeus MXV-1200 would be a great one for my nephew, who is always love playing guns. 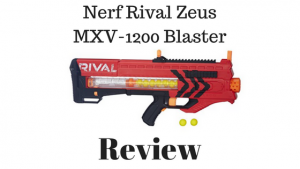 What I found good in Nerf Rival Zeus MXV-1200 is as in the review it is so high impact and powerful but I don’t know whether he can handle it, since he is young and the gun is bulky as you reviewed. But still you said it is suitable for 8+, therefore I could consider that. Well Welcome To The World Of Nerf Guns! They are amazing Toy Guns that fire Foam Darts, anyone can have fun with Nerf Guns, I preach Nerf Gun Fun For All! The Nerf Rival Zeus MXV-1200 is an awesome Nerf Gun for a Christmas Present for your nephew. If he is simply “playing guns,” then he will be sure to love a high powered Nerf Gun from the Rival Series like The Zeus. 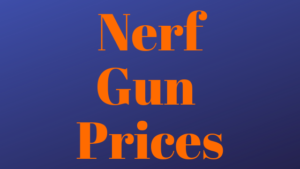 Great to see you now know about Nerf Guns, feel free to explore my website, NerfGunRUs.com, and learn about all the different kinds and series! I just finished reading your article about Nerf guns and just wanted to say thank you. My son is just crazy about Nerf products, but choosing which one to buy him for Christmas is quite a difficult task. Your review of these 33 products has really helped me a great deal. I’m looking at the Nerf Modulus guns. Am I right in thinking that the parts on these guns can be swapped from one gun to another? Any advice you can give me on the Nerf Modulus stuff would be greatly appreciated. Hey Andrew, Christmas is an awesome time of year to get your son a Nerf Gun, really, I don’t think you can be wrong with any one you choose, especially on my list I have here. The Nerf Modulus Series is “The Interchangeable” Series, that has tons of attachments that work on just about any Modulus Nerf Gun. Of course some better than others and different options for different missions. It really depends on the type of style your son wants to fire. There is The ECS-10, great for tactical missions, The Tri-Strike, great for having options to destroy your enemies, or The Regulator that gives you select fire, the option to fire one Nerf Dart, Or Fully Automatic to unload your magazine! Any Modulus Nerf Gun will be great, just make sure you get yourself one too, don’t want to be defenseless!